If there’s a product in Close To My Heart’s line-up that I love almost as much as My Acrylix stamps, it would be the My Reflections B&T papers. I love the beautiful colors and patterns, and, I don’t know about you, but I still love the newer, heavier weight of the paper as well. There are already so many fabulous ways to use your B&T papers, but today I’d like to talk about good ways to stamp on them, too! The paper from the Sonoma paper pack looks just beautiful on this card. The neutral tones accented by that ribbon of Cranberry cardstock really do melt my heart. Although the Snowflakes stamp set (D1480) is featured with the Wonderland paper packet in the Idea Book, it blends perfectly with this paper, too! Using 3D foam tape to pop the stamped image up helps it to stand out just enough to not get lost in the pattern. Can you pick out the B&T that was used on this project? 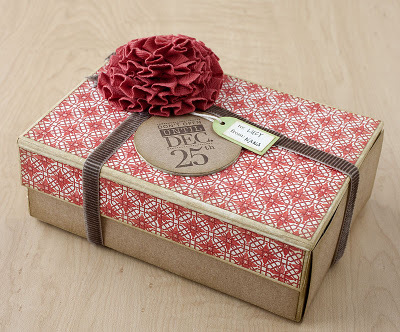 That’s right, it’s the Cranberry sheet from the wonderfully versatile Elemental paper pack. And the small snowflake image from the December 25th stamp set (C1469) fits right in here. 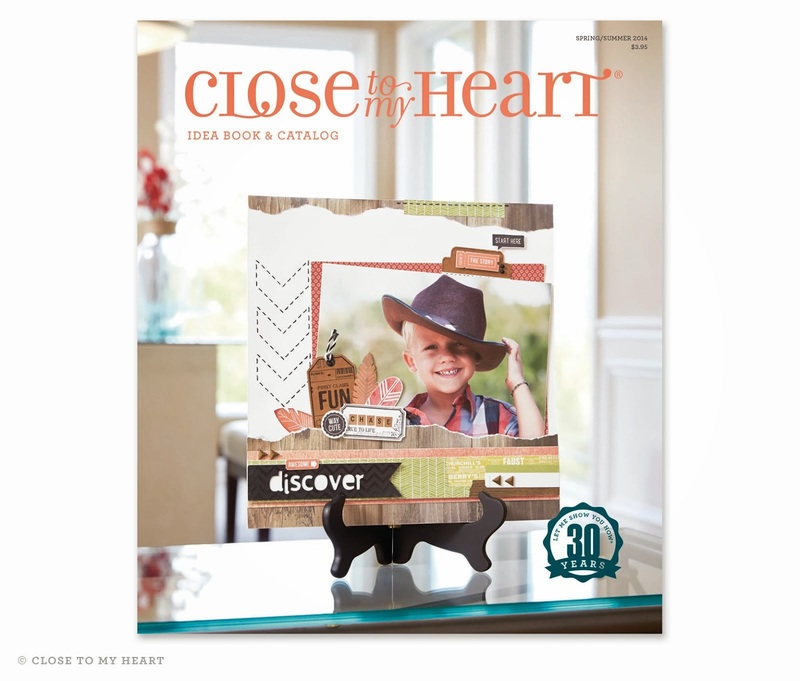 It’s one of the hallmarks of Close To My Heart that our products are designed to coordinate with each other, and the stamps and B&T papers are no exception! Start with a B&T paper that you want to embellish. 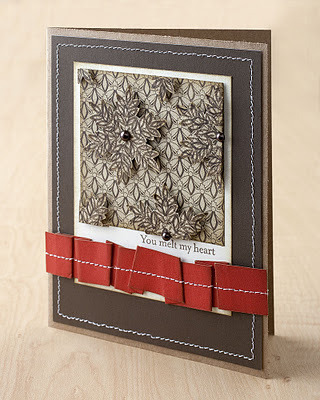 The papers from the Elemental kit are all great choices, but other patterned papers lend themselves to this technique as well. 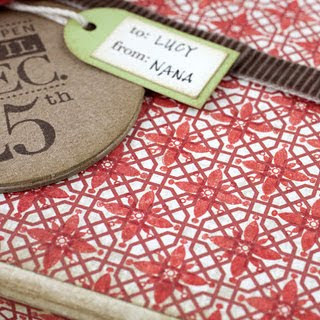 Then look through and find a stamp image that coordinates with that pattern. The sets that are featured with the paper packs in the Idea Book are a good place to start, but branch out and look at other options, too! Ink your stamp in your desired color and stamp onto your B&T paper. You can choose the same color to blend into the pattern, or you could choose a coordinating or contrast color, as well. 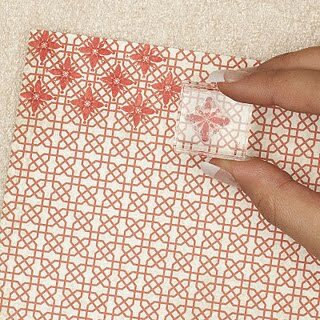 Make sure you stamp your image off the edges of your piece to maintain the integrity of the new pattern. Sponge the edges of your piece to finish it off. Have fun mixing and matching your stamps and B&T’s to create your own patterns and backgrounds! Thank you, Joy, but the credit for these daily ideas goes to our wonderful art and design team at CLOSE TO MY HEART.